SMART: Automatic opening and closing as you wish. SECURE: Thanks to the integrated alarm your bike is well protected. 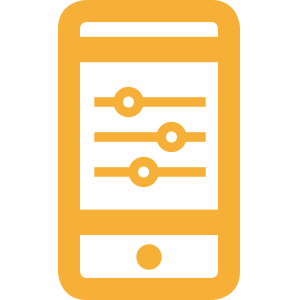 KEYLESS: Your smartphone becomes the digital key. CONFIGURABLE: Adapt to individual wishes with the I LOCK IT App. I LOCK IT classic locks and unlocks your bike automatically using Bluetooth low energy technology. It also prevents thieves from stealing your bike by setting off an 110 dB laud alarm when the bike is moved. 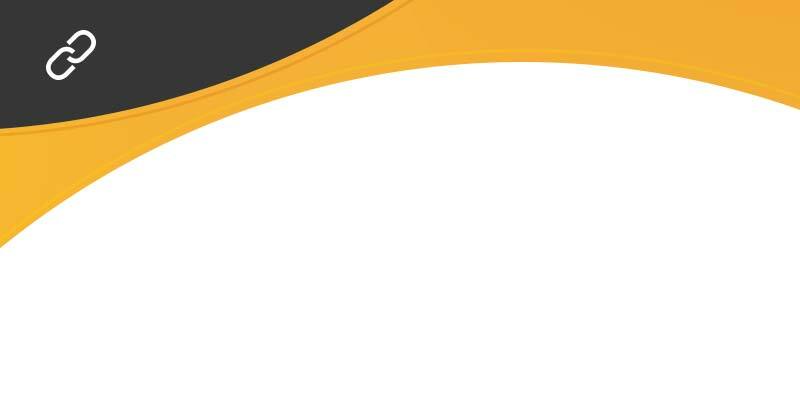 In the same time you will receive a message on your connected smartphone. The integrated rechargeable battery lasts for a full bike season. If the bettery reaches a critical level, the I LOCK IT app or the key fob will inform the user. 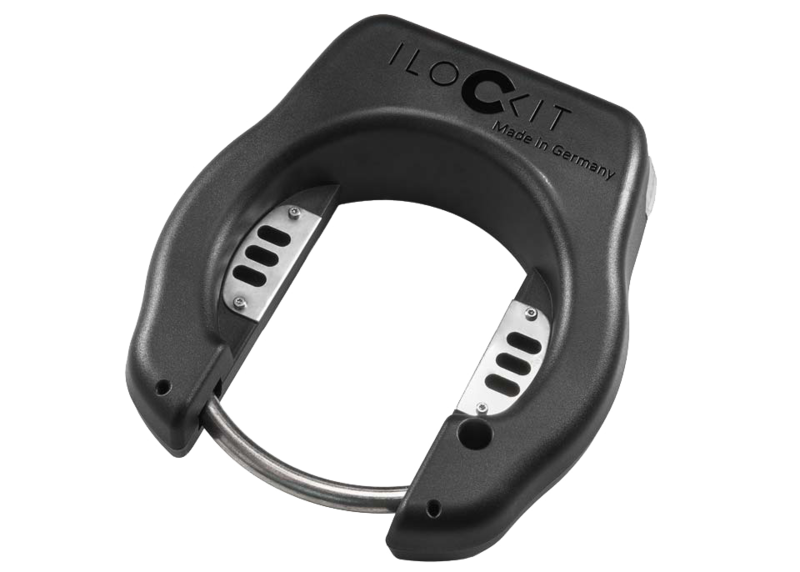 I LOCK IT+ is the electronic bike lock, which combines smart features for maximum bicycle safety. It detects by means of a Bluetooth 4.0 connection when you approach or remove and unlocks / locks automatically. Thanks to the dynamic spoke avoidance system (DSA system), the locking bolt passes each spoke. I LOCK IT+ closes reliably and without manual correction of the wheel. Integrated 3D motion sensors detect a theft attempt and the integrated 110 dB loud alarm is activated. 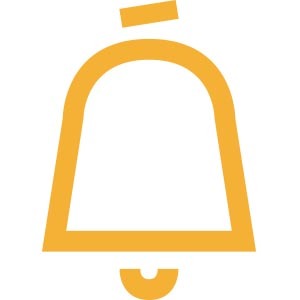 The smart alarm can do even more: If there is an accidental impact on your bike, then I LOCK IT+ will respond with a three-time warning sound - the pre-alarm. 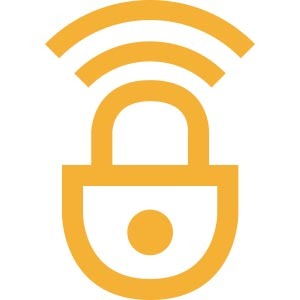 The free I LOCK IT App is used to control I LOCK IT+. In addition to the automatic mode, this can also be used to manage the smart alarm, the sounds, the logbook, the emergency code or the "share with friends" function. In addition, I LOCK IT+ can be operated simultaneously with the smartphone and the key fob+. It does not have to be decided, whether or not. The key fob+ is operated by pressing a button. This is where I LOCK IT+ opens and closes. The integrated rechargeable battery has enough energy for a cycling season and warns you in time via the I LOCK IT App with low battery charge. A quality product developed and produced in Germany. If you don't have a smartphone or don't want to use it, you can easily open and close I LOCK IT with the I LOCK IT key fob. Thanks to its renewed design the operation is even more handy and the battery life can be up to one year due to technical improvements. The I LOCK IT key fob is set up by default for manual opening and closing. If you press the button of the key fob your I LOCK IT will open or close immediately. As soon as your key fob gets out of reach of your I LOCK IT, it will be put into energy saving mode. It tries to reconnect with I LOCK IT by pressing the button on the key fob again. Alternativley, the I LOCK IT key fob can be configuered in the I LOCK IT App. There you can activate the auotmatic mode for your key fob to enjoy the same comfort as with the smartphone. I LOCK IT will close automatically, if you leave your bicycle. When you return I LOCK IT automatically opens again. In addition, by pressing the button of the I LOCK IT key fob, a manual opening and closing can be done at any time. Moreover, you are able to set the time period of the automatic reconnection between I LOCK IT and the key fob. 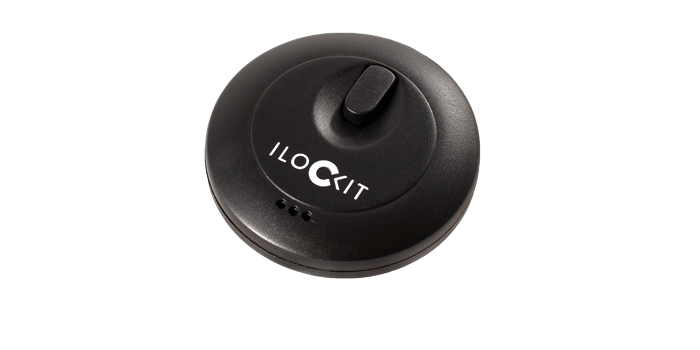 Thanks to its status led, the I LOCK IT key fob informs you reliable about the connection mode with your I LOCK IT, as well as about warnings, e.g. in case of a theft attempt of the bicycle with a notification range of up to 100m depending on the environments. * Please note that the battery life depends on the usage behaviour of the key fob. 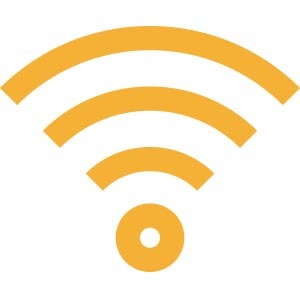 In addition, setting a long period for automatic reconnection in automatic mode results in a higher power consumption. The key fob+ is an alternative to the smartphone. Just open and close your I LOCK IT+ manually with the touch of a button - just like the car key. The special feature: With the key fob+ a simultaneous use of key fob+ and smartphone is possible. You can therefore use both devices at any time, since no change is necessary. Twice as easy. Thanks to its status LED, the key fob+ reliably informs you about the connection to your I LOCK IT+, as well as about warnings, e.g. in case of a theft attempt. The notification range extends up to 100m, depending on the environmental conditions. The battery life of the key fob+ is up to one year. Please note that the battery life depends on your usage behavior. 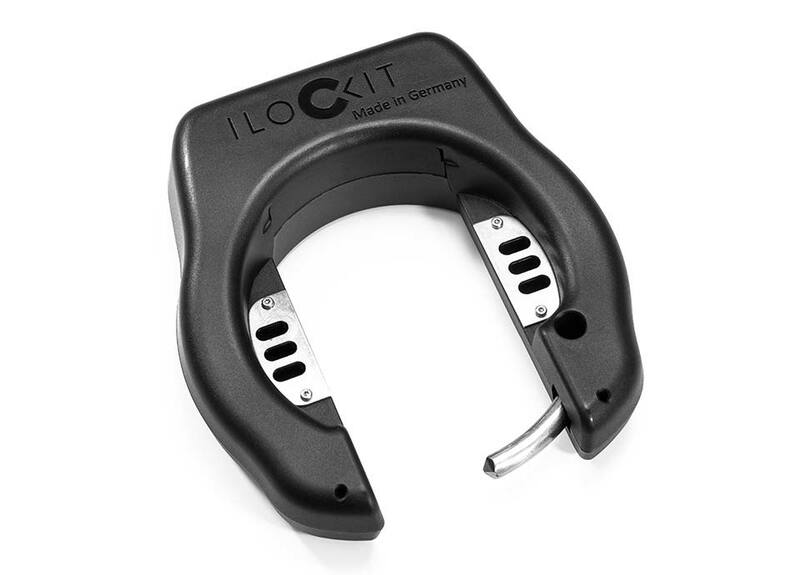 I LOCK IT Installation adapter for the easy installation of I LOCK IT on bikes without mounting sockets on the frame. Simply put the adapter around your frame and use the included screw to tighten it. Afterwards, you can easily connect your I LOCK IT with the adapter. 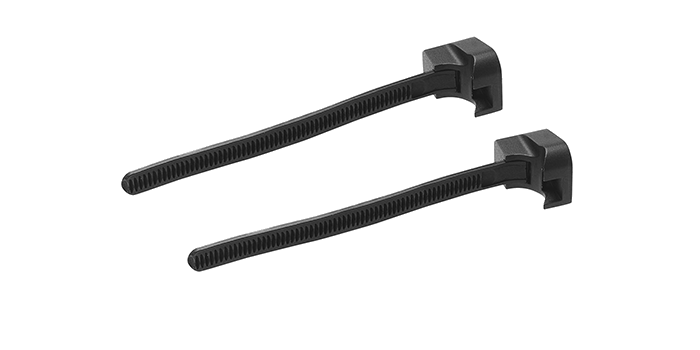 The installation adapters+ are especially intended for the installation of I LOCK IT+ on bicycles without fixed mounting points on the frame. 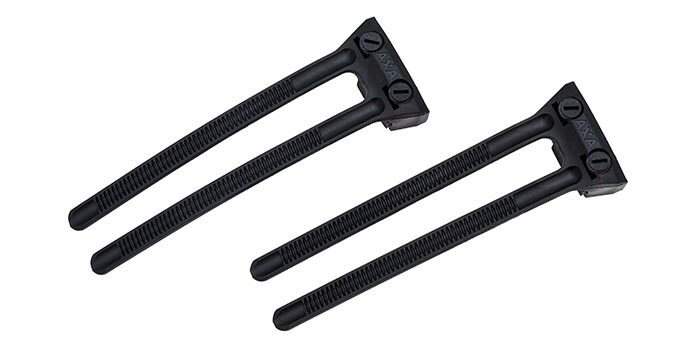 The special: both narrow and wide frames can be equipped with it and comes out without drilling. Place the adapter around the frame and tighten it with a screw. Then you can screw I LOCK IT+ to the adapters. The plug-in chain can be easily connected with I LOCK IT in order to lock your bike to a fixed object. To do this you just put the chain around the object, pull the plug through the opening on the other side of the chain and plug it into I LOCK IT. As soon as I LOCK IT locks it will secure the chain as well. 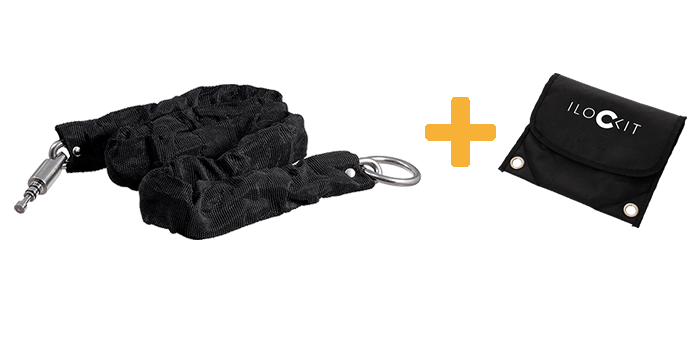 The water repellent bag with the I LOCK IT logo is easily attached to the porter of the bike and keeps the plug-in chain as well as little things secure during the ride. Thanks to the functional eyelets, the bag can be securely fixed and additionally fastened to the bicycle. 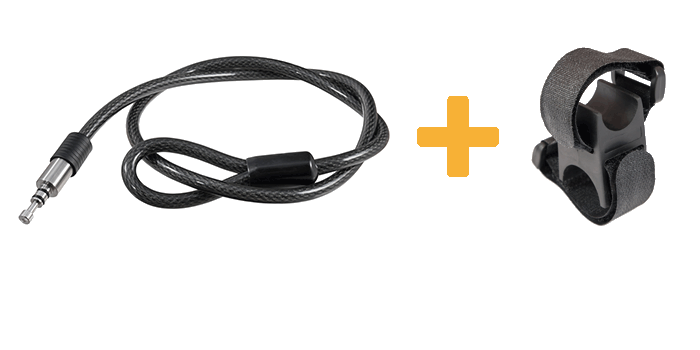 The plug-in cable can be easily connected with I LOCK IT in order to lock your bike to a fixed object. To do this you just put the cable around the object, pull the plug through the opening on the other side of the cable and plug it into I LOCK IT. As soon as I LOCK IT locks it will secure the cable as well. For transport, the I LOCK IT - Plug-in cable can be easily attached to the seat post with the included holder. Simply turn your smartphone into a bike navigator. 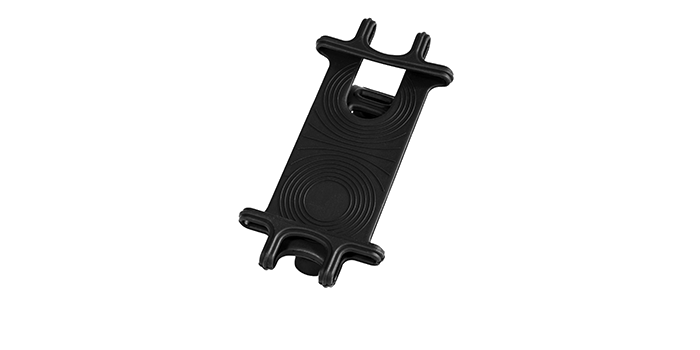 The smartphone holder can hold devices with display sizes from 4 to 6 inches*. 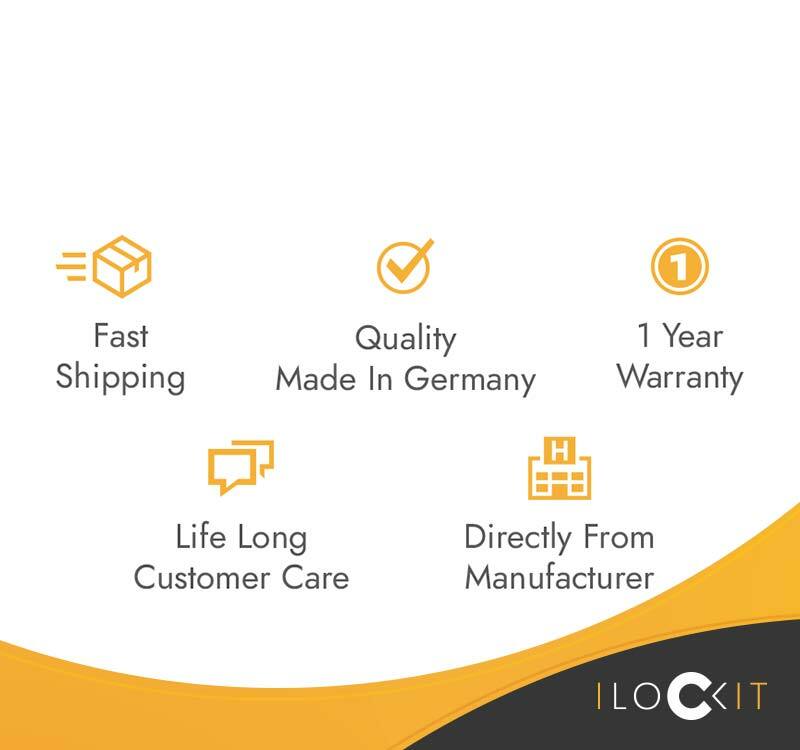 iPhone 6/6s, 7/7plus, iPhone 8, X oder Galaxy S6/S6edge, S7/S7edge, S8/S8plus, A5.